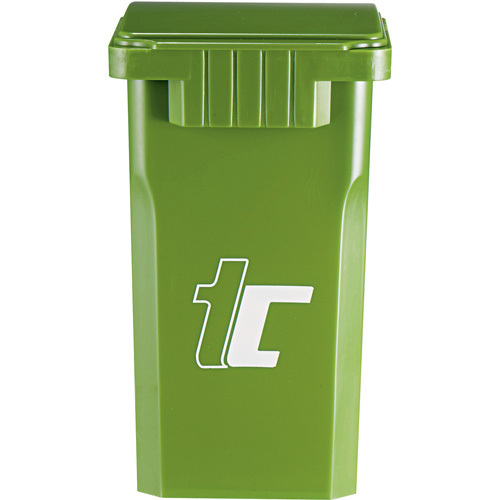 Recycling symbol printed on sides of pen cup and recycling bin shape promotes recycling. Lid opens to access pens or other office essentials. Prices may vary.